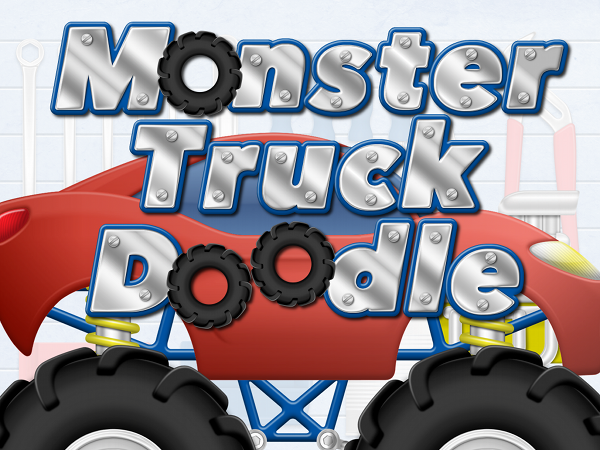 Truck Doodle is fun, yet simple app that allows your little ones to design their very own monster trucks! They choose and customize the body style, add an engine, shocks, and tires. Then, they can paint it any color they like, including two-tone paint and finish with one or several cute decals. Once their truck is just the way they like it, they can drive it along our peaceful countryside scene. To make the driving especially fun, they can try to hit (or avoid) various fruit obstacles along the way. Their truck becomes covered with splatters as they hit the fruits and will inevitably need a car wash. Good thing we've included one! Once in the car wash, your little one can clean up their truck with a sponge, a spinning brush and a water hose. Then, take their truck back to the garage to further customize or just run it along the path again. Designed to be simple enough for younger kids, but still lots of fun for older kids.